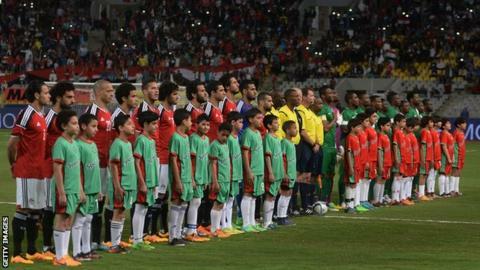 The Egypt Football Association has announced that the Pharaohs will play Nigeria in a friendly on 26 March. The match will be played in Nigeria during the international break in March. Both nations have already qualified for the 2019 Africa Cup of Nations finals but will play their final qualifying games ahead of the friendly encounter. Nigeria host Seychelles in Group E while Egypt travel to face Niger in Group J.
Egypt and Nigeria met in 2017 Nations Cup qualifying with The Pharaohs earning a 1-1 draw away from home before winning 1-0 in Alexandria to qualify for the finals ahead of the Super Eagles. It will be the 18th meeting between the two sides with Nigeria holding the upper-hand having won seven times to Egypt’s five with another five matches drawn.